CartONG is changing the format & design as well as the issuing rhythm of its newsletter, and use this update to also comply with GDPR - more information at the end of this newsletter. It’s time to look back at year 2017! The main achievements and projects were presented at the last Get-Together held in Dullin at the end of May 2018. Among the most striking figures are the 396 maps and 20 web apps produced by our team in 2017. CartONG also responded to no less than 69 mobile data collection hotline requests submitted by various partners. In addition, CartONG actively contributed to raising awareness about OSM and participatory mapping by gathering over 1,000 participants during its mapathons, as well as it helped build capacity in the humanitarian sector by training over 150 humanitarian staff in mobile data collection. - Vincent Taillandier: currently Senior Consultant in strategy and organizational transition, Vincent was previously Director of Operations at Action Against Hunger. He also teaches in various French higher education institutions. Please notice CartONG has transferred its headquarters to a new address in Chambéry (23 boulevard du musée - 73000 Chambéry) from July 16th onwards. A new adventure begins for CartONG with the project "Maps from here & abroad" supported by Fondation de France. 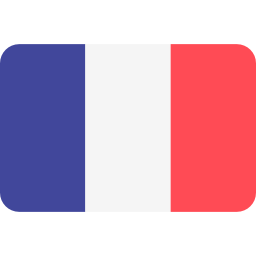 This project aims to promote the social inclusion of migrants in France through participatory and sensitive mapping workshops. This new project originates from Cécile Borreil's civic service mission, whose final report entitled "Access to information for migrants in France: the existing census tools of available services" is available online (in French). 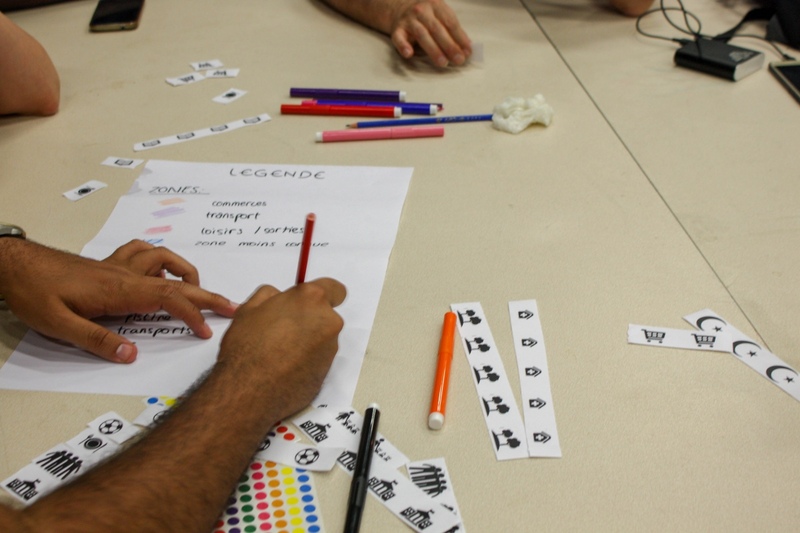 The first workshops of this project were held in June in Ivry-sur-Seine and Villeurbanne. CartONG is a also working on a booklet to promote good practices with the support of sensitive mapping experts. This booklet will enable associations interested in our initiative to organize workshops by themselves in full autonomy. In parallel to the activities currently implemented in France, mapathons are also being organized in Germany within the framework of the volunteer MAMAPA project. CartONG and Terre des hommes (Tdh) have joined forces to launch the www.mdc-toolkit.org website, which aims to contribute to building capacity on mobile data collection (MDC) within the humanitarian and international development sector. This website is built around a "MDC Toolbox" comprised of about forty tools and tutorials, covering all phases of a MDC survey and available under an open license CC-BY-SA. 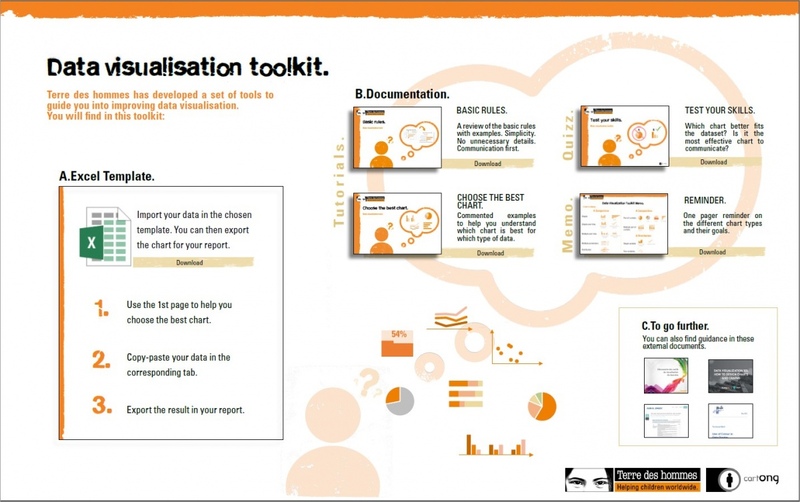 It is also complemented by tools to guide field teams on how to improve their data visualization practices, called the Data Visualization Toolkit. CartONG and Tdh also choose to publish their working documentation on personal data protection. A "Beginner's Guide to Data Protection", as well as a self-assessment tool and 12 tutorials for field delegations, are thus also available on the website. Many humanitarian and development organizations own data, ranging from field data to big data, which can be valuable for measuring SDG indicators. The "Data Collaborative to Support Health and Water/Sanitation MDGs in Malawi and DRC" project (supported by the Global Partnership on Sustainable Development Data) aims to harness this potential by building a collaborative ecosystem. The first stage of this project was to define its characteristics and challenges during a workshop held in Kinshasa (January 31st to February 1st, 2018) which brought together the key actors of the field. You can read the conclusions of this meeting here (in French). The project then moved towards supporting local actors on health data sharing and a field mission was organized with OSM RDC and the Intercluster in the east of the country. The objective was to raise awareness on how to use and share geographic information in Tanganyika, South-Kivu and North-Kivu. We also tested a methodology to improve the mapping of health areas. In March of this year, CartONG has started working with the OSTS section of UNHCR (Operational Solutions and Transitions Section) on the Monitoring Survey System in place since 2017 for both Livelihoods and Energy. As from 2018, CartONG will take over the implementation of the system, and proceed to a technical review and improvement of the platforms, tools and documentation. Interesting fact: the Monitoring Survey System is built on Kobo Server and Google App script, and the analysis report is generated by the system and enhanced by the support team once the user has submitted all survey data. To this date, on the Livelihoods side of the Monitoring System, 34 operations (in 28 countries) are part of the system, out of which 17 have been trained on Mobile Data Collection, and 9 have already started collecting the data and received their initial Analysis Report. Furthermore, on the Energy side, 9 operations (in 9 countries) are part of the system, 6 of them have been trained on Mobile Data Collection, and 3 have already started collecting the data and received their initial Analysis Report. 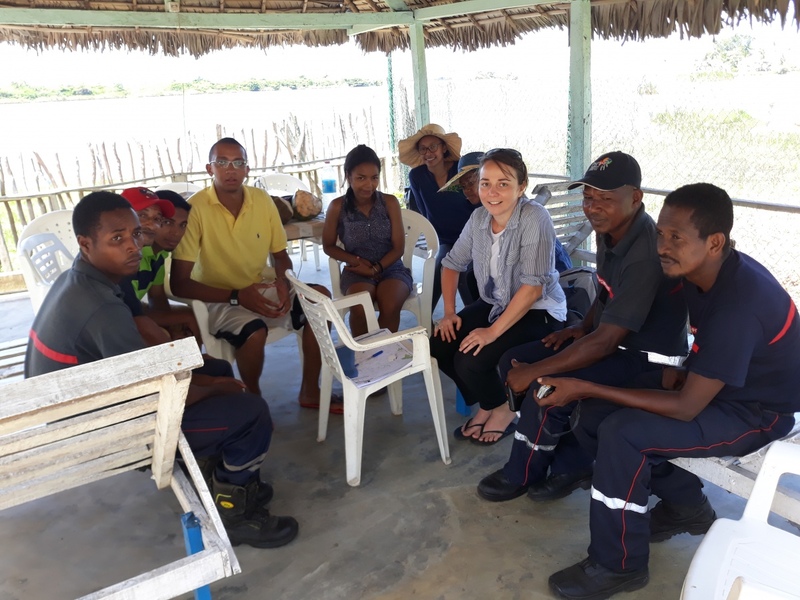 Violaine carried out a 4-week mission in Madagascar as part of a disaster risk reduction project in partnership with the NGO Pompiers Humanitaires Français (PHF) and the local OpenStreetMap community. On the agenda: awareness-raising on data sharing, data collection and mapping, with the aim of improving firefighters' response capacity in the event of natural disasters. We also organized a workshop to promote data sharing in Antananarivo. Roxana was deployed 4 weeks in Bangladesh to design a long-term GIS (Geographic Information System) infrastructure in the Kutupalong refugee camp. She supported the activities implemented by the GIS Unit for MSF France in the camp while ensuring the transition of GIS activities deployed on the ground from an emergency to a steadier long-term setting. - Implementation mission of the SENS nutritional survey in the Kulé refugee camp (Ethiopia) in support of our partner, UNHCR. - Training mission in mobile data collection and implementation of the WASK KAP survey in Burkina Faso in support of UNHCR. - SurveyCTO training mission in Iraq for Terre des hommes. 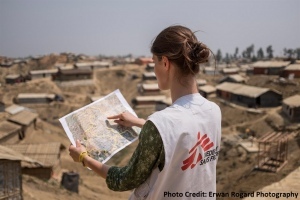 - Deployment in DRC to provide GIS support to the MSF field teams in charge of dealing with the Ebola crisis. - Mission in DRC for the "Data Collaborative" project in partnership with OSM-RDC & the Intercluster (cf. Projects section for more details). - Article published in Alternatives Humanitaires issue 8 - July 2018: "Fostering the use of good practices in information and communications technologies"
- Tutorial: "All about regex() in xls form: when, how and examples in the humanitarian and development field"
- Benchmarking: "Mobile Data Collection in Emergencies: Which Phones or Tablets can do the job?" CartONG took part in the Marché des Continents in Chambéry last month. During this festive weekend, we organized a full-scale mobile data collection simulation in a refugee camp. The participants were able to put themselves in the shoes of humanitarian personnel and, by doing so, to better understand the work carried out by CartONG in support of its many partners. Save the date! We invite you to meet CartONG at the "Forum des Associations" in Chambéry on September 8th, 2018. ​CartONG is a partner of the 11th edition of the Convergences World Forum on September 3rd and 4th, 2018 at the Palais Brongniart in Paris. This forum is a reference in Europe when it comes to promoting the Sustainable Development Goalds (SDGs) and the creation of a "Zero Exclusion, Zero Carbon, Zero Poverty" world. More than 5,000 attendees and speakers from the business, solidarity, government, academic and media will gather to share ideas and build solutions around the theme "Make Society, Make Tomorrow". We invite you to join us to this event! We have a few reduced-price tickets available for our members, please get in touch if you're interested. CartONG is also looking forward to seeing you at the 2018 GeOnG Forum which will be held in Chambéry from October 29th to October 31st, 2018. The GeOnG addresses topics around data management in the humanitarian and development sector, including mapping, GIS, mobile data collection and information management. It's the largest independent conference on these topics in Europe, with an average of 140 participants from 70 organizations. Update about Nomad Maps! 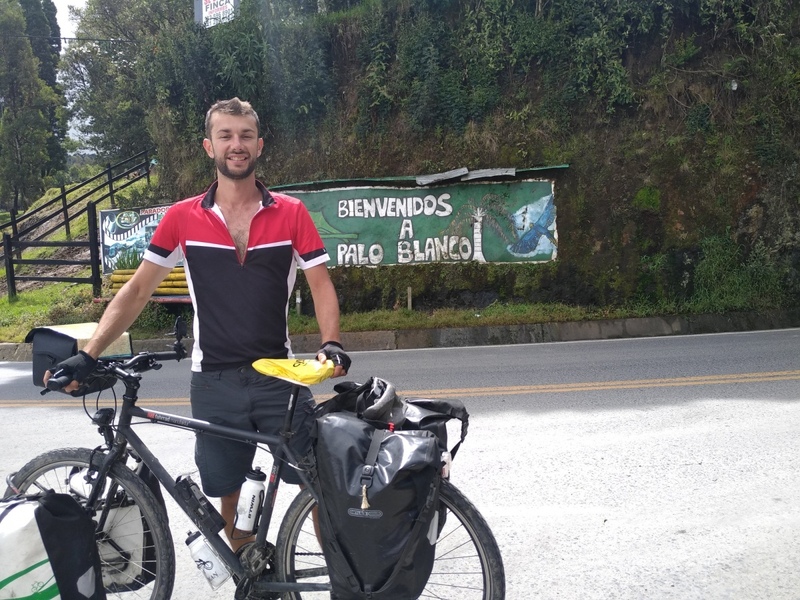 Our volunteer Alban continues his cycling journey across Latin America, always with the same objective: to map roads and locations along his route and take part in small projects in support of the local OSM communities to promote participatory mapping as a development tool. So far, Alban has met with local actors, held awareness sessions in schools, and even crossed the 2000km mark! If you want to follow the rest of his journey, feel free to visit the Nomad Maps website, or subscribe to his Facebook page & the Instagram. If you wish to get involved in CartONG's associative life and take part in concrete international solidarity projects or the 2018 GeOnG Forum, please do not hesitate to contact Claire who will answer all of your questions. If you thinks one of these positions is made for you, do not hesitate to send us your application via our online webform. - Moving from a semester to a quarterly rhythm to lighten the newsletter and better follow our news. - Splitting the different language versions to reduce the size: you are receiving this newsletter in English. If you wish to read it in French, please click here. - The European Union’s new General Data Protection Regulation (GDPR) went into effect on May 25, 2018. We are excited about this development because we believe it will help protect users’ rights to privacy and transparency. It is also an area of interest for CartONG and we hope that it can lead to new ways to work and to conduct project within our organization. This is the first newsletter that we've sent since the enforcement of this new regulation and we therefore would like to use this occasion to reassure you about the use of the information that you provided when signing up for our newsletter. Your personal data is only being used for us to get in touch with you in order to provide news and updates on CartONG's activity. Should you wish to opt-out, you can unsubscribe using the link at the bottom of this and each newsletter. Thank you for reading!